The unstoppable rise in social media presents both opportunities and challenges for HR professionals. A basic understanding of what is on offer and an appreciation of the inherent risks is essential for the good management and control of this often wayward communications tool. Social media is a phenomenon. For example, in just over 10 short years, Facebook has grown from an Ivy League dating site into a behemoth with over 1.25billion active users. Over a third of the UK population logs in every day to update their status, upload a photo of their home cooked food or just to poke, like or comment. And it doesn’t stop there. Twitter, LinkedIn, Whatsapp, Pinterest, Snapchat or any other of the hundreds of social media platforms available on your computer, your smartphone or now your watch and spectacles (Google Glass, anyone?) are distracting us 24 hours a day from our work, our families and our real time friends. The impact of social media on the workplace is notable for many reasons. Without doubt, the temptation of a constantly updating and evolving virtual world in our pocket can be overwhelming. Social media breaks have replaced cigarette breaks in some workplaces, as employees sneak away for their hourly ‘fix’. Elsewhere, the policing of social media channels both in and out of the workplace has become necessary as bullying, harassment and victimisation has moved online. Social media presents any number of opportunities for business, but it also has the potential to cause a number of problems for employers, from recruitment to post-termination activity. Recruitment has perhaps been revolutionised the most. As an ever growing number of people live out their personal and professional lives online, how employers target and secure candidates has changed, as has the way that they are vetted. Vacancies can be promoted cheaply and easily to a focused demographic and each role has the potential to reach a wider and more diverse pool of candidates. But as much as social media can assist candidates with their job search, it also has the potential to cause terminal damage. That was the case of 17 year old Paris Brown, who lasted only a matter of days in her role as Kent Youth Police Commissioner before her Twitter past caught up with her and her employer was forced to defend both itself and it’s juvenile employee against public and press scrutiny. If you are employing a senior or public facing employee, it is not only diligent but essential to check their digital and public footprint. Employees’ social media output should be monitored, especially for public facing organisations and those who trade on reputation and high standards. If employees choose to make their employers identifiable through social media chats or postings, regardless of so called ‘disclaimers’, they must be made aware of their responsibilities to the organisation. If you already have a policy in place, ensure it is properly moderated and enforced. If an employee acts outside of the policy, you should react and, if appropriate, take action. Regular reminders to the workforce about what is and isn’t acceptable conduct will make any policy, written or not, more enforceable. Without doubt, social media will continue to evolve over the next 10 years and so must our approach and understanding of this valuable but potentially harmful tool for communication. HR managers in particular must stay ahead of the curve and not merely react to the change. Your employees will increasingly look to you for guidance on personal and professional security, privacy and to identify where acceptable boundaries lie as the distinction between work and play blurs even more. 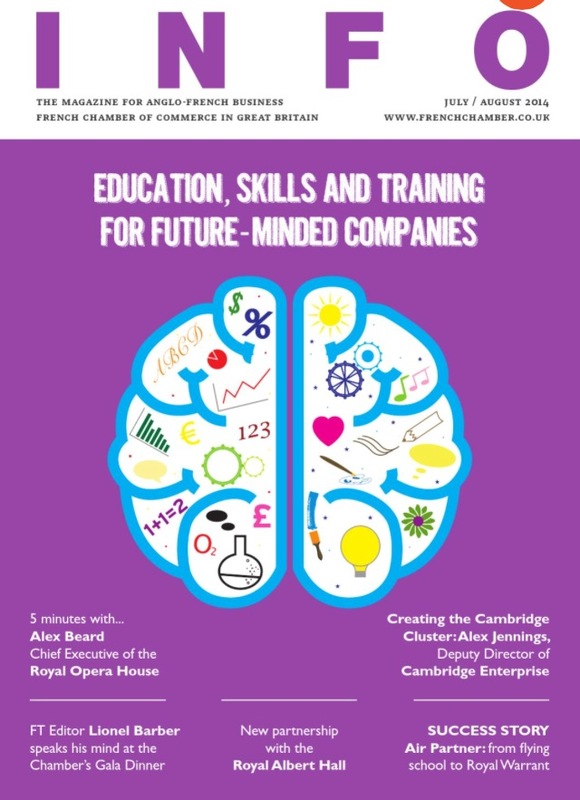 This article first appeared in the July/August 2014 edition of INFO magazine, pubished by the French Chamber of Commerce in Great Britain and distributed to members and through Air France, Eurostar & Eurotunnel business lounges. The full edition can be viewed here. Tags: Business, Disclaimer, Employee, Employment, Facebook, Google, Lawyer, LinkedIn, Media, Opportunities, Risk, Social, Solicitor, Twitter, Workplace, YouTube. Bookmark the permalink.